Lijiang, located in the northwestern portion of Yunnan and borders Sichuan, is a popular destination in Yunnan Tours with a history of at least 800 years. In alll the Lijiang Tours, antient towns is a main attraction that can not be missed by anyone who step into Lijiang. 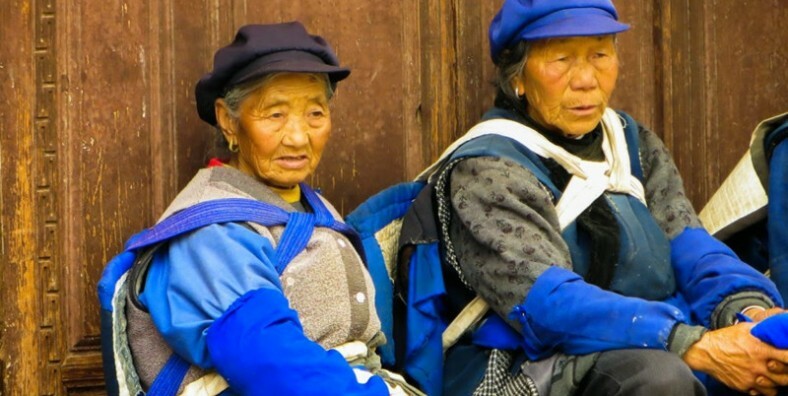 For this 1 Day Lijiang City Highlight Tour, you will visit the top three ancient towns in Lijiang – Lijiang Ancient Town which is also knowned as Dayan Ancient Town; Shuhe Old Town which is believed to be the birthplace of the eminent Mu family; and Baisha Old Town, a traditional Naxi style old town. Enjoy your leisure time in the most famous and attractive old towns. 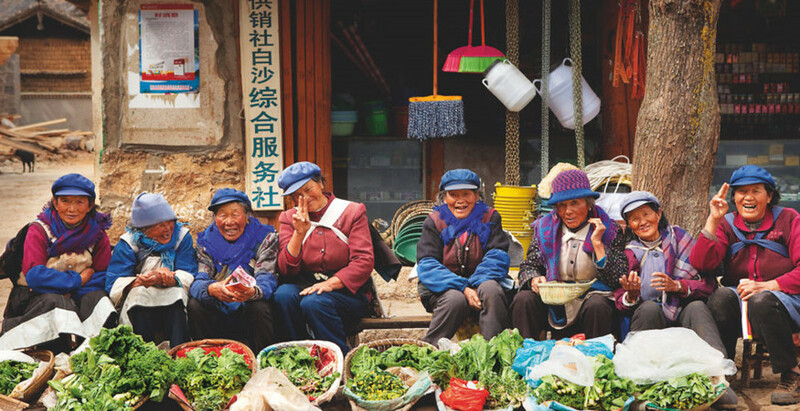 Meet colorful ethnic cultures of Naxi, Bai, etc. In the mnorning, you’ll start your memorable Lijiang tour from Lijiang Ancient Town (Dayan Ancient Town). Take a leisure walk up the Lion Hill and climb up the 33-meter-tall Wanggu Tower – the landmark building of Lijiang to enjoy a panoramic view of the whole old town and countryside scenery, as well as overlook the magnificent Jade Dragon Snow Mountain in the distance. 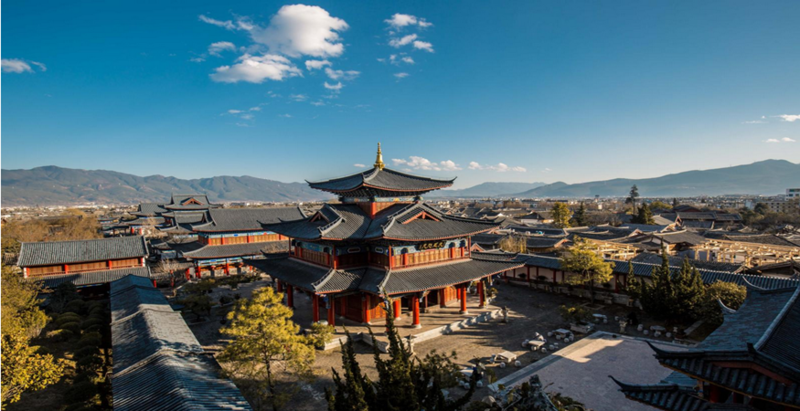 Later, follow a trip to Ming-dynasty style Mufu Palace, the “Forbidden City” of Lijiang to know Tusi’s ruling history and appreciate Naxi people’s brilliant culture and fine arts. Then, drive to visit Shuhe Old Town. Nestled at the foot of Jade Dragon Snow Mountain, 6 km northwest of Lijiang old town. Shuhe was once a staging post at ancient Tea & Horse Road. With an altitude of 2440 meters above sea level, it is a tranquil town with a population of about 3000 people. 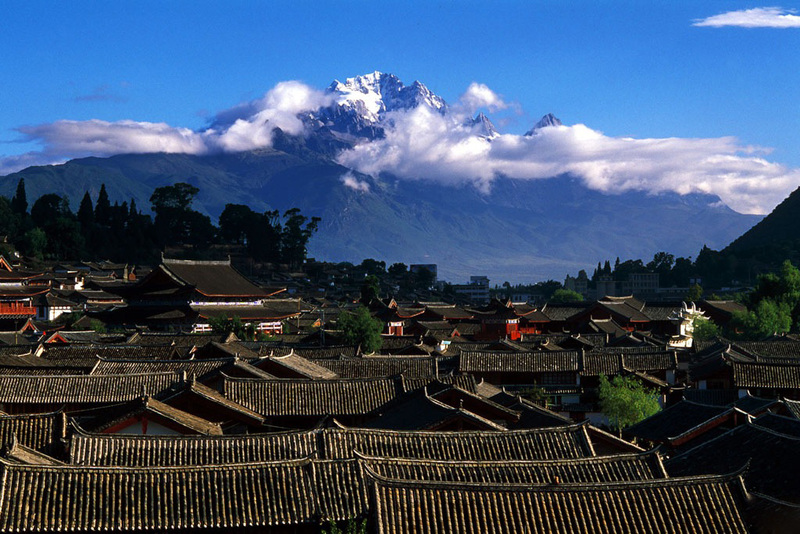 Along with its sister town Lijiang, it is also part of the UNESCO Heritage site. 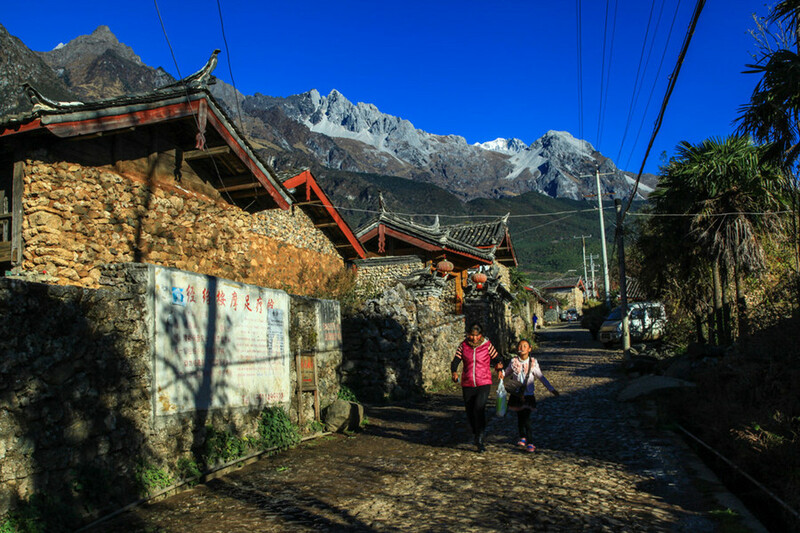 Shuhe is the earliest settlement of Naxi people in Lijiang when their ancestors first moved to this region. After lunch, drive to visit Baisha Old Town, which is an enchanting traditional Naxi style old town. Visit the Baisha Mural about 600 years old, which is a part of the World Cultural Heritage by the UNESCO 1997. 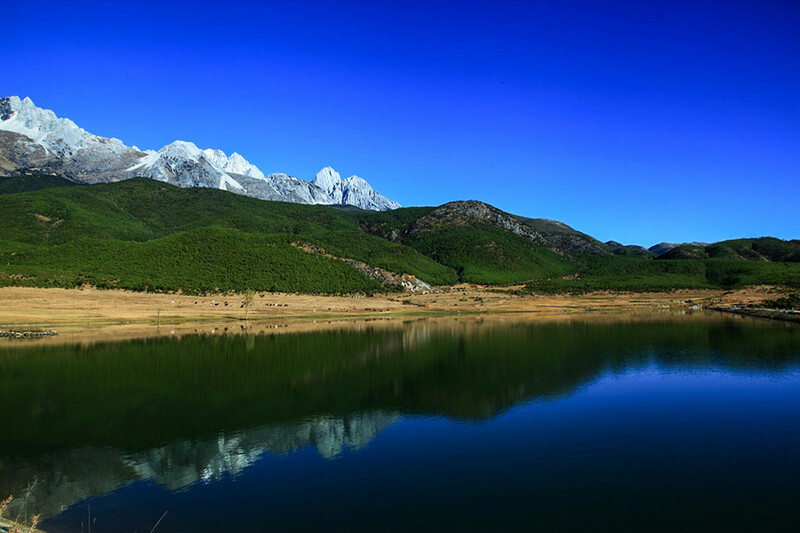 Then, drive to Yuhu Village which is located at the foot of Jade Dragon Snow Mountain. When walking into this authentic Naxi Village, you’ll see unique stone houses, Naxi ladies dressing in traditional clothes, kids playing, a tranquil Yuhu Lake…Explore leisurely around the village and then get to the Former Residence of Joseph Rock, who was an Austrian-American Botanist came to Lijiang and stayed in Yuhu Village for 27 years and made huge research work on Naxi minority. Afterwards, drive back to the hotel in the late afternoon. Service ends.